Hi my name is Journee. 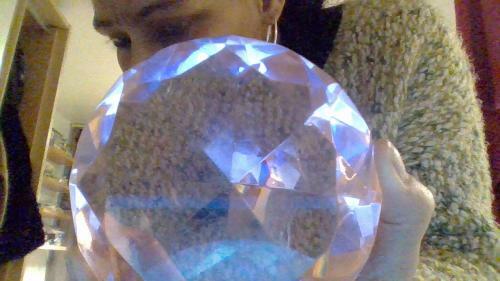 I am a psychic Clairvoyant; I also read Tarot and Angel cards. I specialise in the area of relationships, career, dream interpretation and life issues. I have many years of experience working with different clients. I can offer you a truthful, honest, warm and sincere reading without personal opinion or judgement. Offering answers and clarity to any questions you may be seeking answers for. I love reading for clients who are genuinely looking for help and guidance. It also gives me great pleasure to uplift, inspire and move you forward. Feedback is important as it helps me to know you are getting the best out of your reading. I will endeavour to answer all your questions with accuracy. I am a Cancerian, with a genuine love for people and a caring nature. I believe that the sign of Cancer is a water sign working with the intuition rather than logic. This helps me to connect well with my clients whilst performing my readings. I was in my teenage years when I first became aware of seeing things differently. For example I would dream of events or things happening before they came about, I also experienced a lot of Deja vu. I had a very keen interest in reading and researching Astrology and the psychic world. Six months ago I read for a client who was feeling quite heartbroken due to having just split up with a partner. The reading predicted this man would be back at a later date, however the reading also predicted someone new coming in. This lady phoned to update me and also thank me for the reading. The lady was so excited as she had met a new man the same description and star sign as the reading had predicted and she felt a strong bond with this new person. However the person she had split with also came back but she felt the new person was a much better match for her. I was very pleased for my client and thankful for the feedback. I have been trained in Therapeutic counselling skills and I have a diploma in life coaching, which compliments both my communicative and listening skills. I am constantly researching the field of psychic development and other areas which link to life pathways. Such as twin souls, soul mates, channelling of energy, dream work, astrology, beliefs and N L P.
Clients may like to consider why they would like to have a reading and what they would expect to get from their reading. I would advise the client to try and relax and be open to what information they may receive. Also to feel free to ask any questions you may want answering.